Don’t you just love Fridays? I don’t know about you, but I can often squeeze in a little more reading on the weekends than I can during the week. Then, of course, there’s church to look forward to and hopefully some extra sleep. These days, though, my favorite part of Fridays is visiting all the First Line Friday posts and checking out the books my friends are talking about on their blogs. Today I’m featuring a book I read a while ago that has stood out in my memory, which is saying a lot considering the number of books I read. 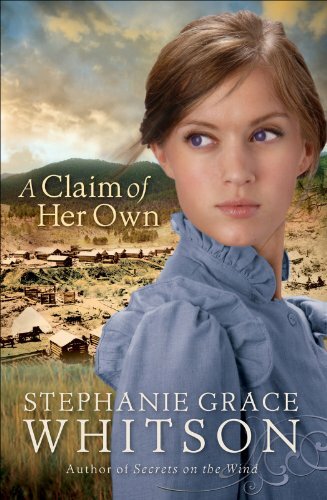 The book is titled, A Claim of Her Own and was written by Stephanie Grace Whitson. From A Distance by Tamera Alexander **My Review Coming Soon! And no, none of the above are affiliate links. I just love sharing fantastic books! If there are any titles listed above that haven’t made it to your “Read” shelf yet, I hope you pick one up today. Each of these books is well worth your time and money. To see how I ranked other books I read this year, you can visit my Goodreads profile. Soon I’ll be picking my Top Ten MUST READ books for the coming year and I’d love some input! What books are on your MUST READ list for the coming year? Which books should I add to my list? Let me know in the comments below!